Ensure the connection is flush. 1. 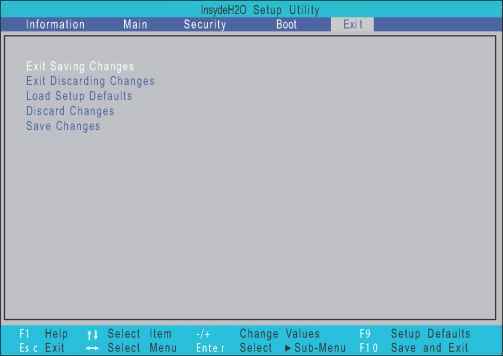 Insert the I O cable. 2. Ensure the connection is flush. 1. Place the mainboard into the bottom case with both hands. 2. Insert the I O ports in first, taking care to align the I O ports with the openings in the lower cover 3. Replace the screw holding the mainboard to the bottom case. 4. Attach the speaker connector. 5. Attach the MB pcb power connector. 4. Attach the speaker connector. 5. Attach the MB pcb power connector. Replace the bezel top edge first as shown. 2. Starting at the hinge wells, ensure that the Antenna and LCD power cables are not trapped and press down to secure the bezel in place. 3. Ensure the cables are correctly arranged through the LCD hinges. 3. Ensure the cables are correctly arranged through the LCD hinges. 4. Replace the four screws and screw caps. 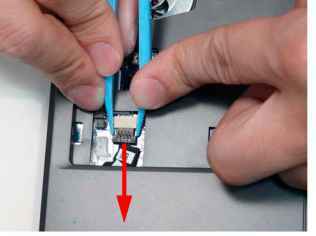 See Detaching the Antenna Cables on page 64. 2. 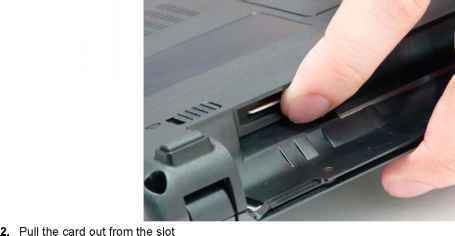 Remove the three securing screws from the LCD brackets. IMPORTANT Ensure all cables are clear of the lower cover before removing the LCD module. 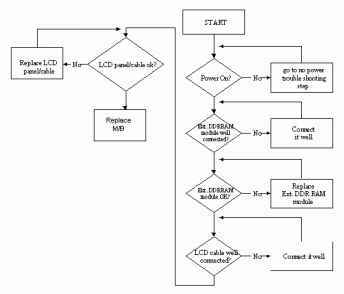 Grasp the LCD module with both hands and lift upwards. 1. See Detaching the Antenna Cables on page 64. 2. Pull out the power cable. 3. Lift out the toroids 2. Pull out the power cable. 3. Lift out the toroids 4. Lift out the external power connector. 4. Lift out the external power connector. 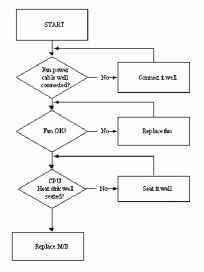 Connects to an Ethernet 10 100-based network. Enable the computer to stay cool, even after prolonged use. 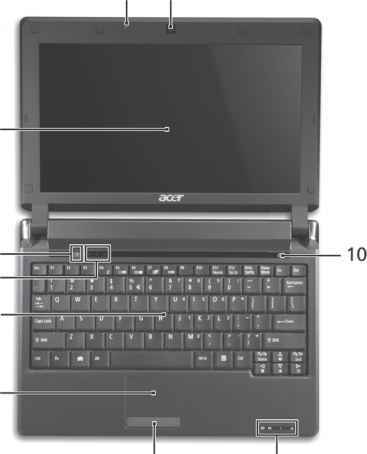 Note Do not cover or obstruct the opening of the fan Connects to a display device (e.g., external monitor, LCD projector). Connects to USB 2.0 devices (e.g., USB mouse) Accepts input from external microphones. 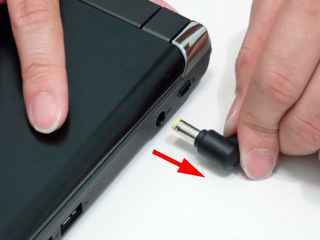 Connects to line-out audio devices (e.g., speakers, headphones). You can locate the Euro symbol and the US dollar sign at the upper-center and or bottom-right of your keyboard. 1. Open a text editor or word processor. 2. Hold < Alt Gr> and then press the < 5> key at the upper-center of the keyboard. NOTE Some fonts and software do not support the Euro symbol. 1. Open a text editor or word processor. 2. Hold < Shift> and then press the < 4> key at the upper-center of the keyboard. 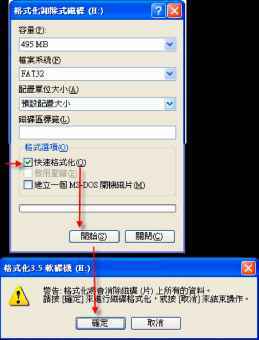 NOTE This function varies according to the language settings. Insert the power cable socket as shown. 2. Place the toroids away from the socket. 1. Insert the power cable socket as shown. 2. Place the toroids away from the socket. 1. 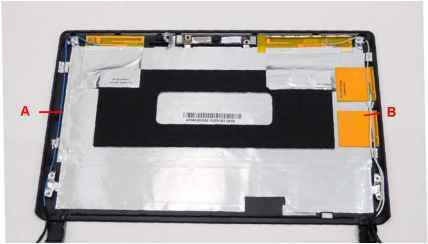 Place the LCD Module on the Lower Cover and secure it in place with the three screws. 1. 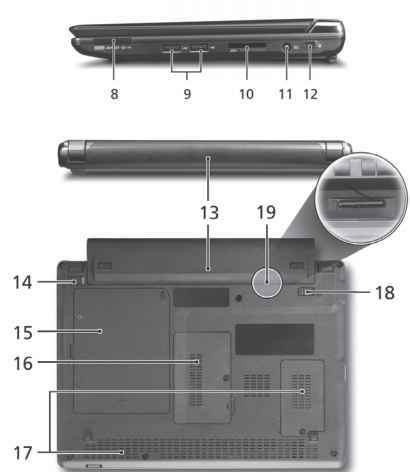 Place the LCD Module on the Lower Cover and secure it in place with the three screws. Insert the 3G Module into the socket. 2. Replace the single securing screw. 2. Replace the single securing screw. 3. Connect the two 3G Antenna cables to the 3G Module. IMPORTANT The yellow cable attaches to the M (Main) terminal and the blue cable attaches to the A (Aux) terminal. 1. Slide the hard disk drive into its tray. 2. Attach the four screws of the HDD tray. 4. Affix the one screw holding the HDD tray in place. To disassemble the computer, you need the following tools Wrist grounding strap and conductive mat for preventing electrostatic discharge NOTE The screws for the different components vary in size. During the disassembly process, group the screws with the corresponding components to avoid mismatch when putting back the components. The product previews seen in the disassembly procedures may not represent the final product color or configuration.